We help NCAA DI and DII athletic departments across the country with their compliance, accounting and consulting needs. The demands on your athletic department are higher than ever. Thankfully, we know what it takes to meet them. At James Moore & Co., we’ve helped NCAA collegiate athletic departments nationwide strengthen management controls, balance budgets, stay in compliance with NCAA requirements and find new sources of revenue. And through our participation the Collegiate Athletic Business Management Association (CABMA), the National Association of College and University Business Officers (NACUBO) and other industry organizations, we keep up with industry trends and changing regulations and requirements to help you stay ahead and stay compliant. Our collegiate athletic CPAs and consultants have worked with over 15 athletic departments across the country, making us the CPA and consulting firm of choice for organizations within your industry. During our audit of a Division I university’s athletic department, our discussions with management disclosed a concern about possible revenue loss in season ticket sales. James Moore responded to this concern by developing an audit procedure to ensure that boosters were paying at least the minimum contribution amount based upon the seats they had purchased. In just that first year, we found an EXTRA $150,000 that the athletic department had not invoiced to season ticket holders. The department looked into their practices and reduced the errors that caused this shortfall, which in turn reduced their lost revenue dramatically. We continue to perform this test annually, which has resulted in the department receiving additional revenues of roughly $250,000 since we’ve been performing this procedure. Our collegiate athletics accountants focus exclusively on clients like you. They also regularly brush up their industry knowledge and maintain relationships with the NCAA and other organizations. From entrance conference to the presentation of our findings, put our expertise to work for you. Your athletic department’s financial statements are a testament to its stability and outlook, and they play a critical role when making important business decisions. 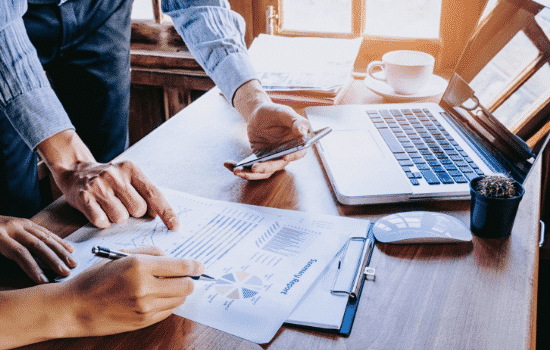 So it’s important to ensure that your accounting practices are in line with generally accepted accounting principles (GAAP). Audits and other assurance services provide comfort to your board and other outside parties that your financial records are compliant and your procedures are sound. The key is to have them performed by accountants who know your industry. Our collegiate athletics CPAs work extensively on college- and university-related audit engagements across the country. We’re also actively involved in the National Association of College and University Business Officers (NACUBO) and the College Athletic Business Management Association (CABMA) to stay ahead of current developments and the highest standards in the higher education industry. We bring this expertise to your audit to make sure it’s conducted with the efficiency, professionalism and attention that you deserve. Your Return Form 990 provides donors and grantors important information about your programs, expenditures and compensation. It also needs to demonstrate your compliance with IRS regulations. You also have unrelated business income tax to consider. Merchandise sales, membership benefits, sponsorships and more can have alternate tax consequences, and constant changes in tax laws require your situation to be monitored throughout the year. Our collegiate athletics tax professionals serve these and other unique needs. This includes a dedicated Nonprofit Tax Director with years of expertise in Return Form 990, UBIT regulations and the many wrinkles of nonprofit accounting and tax planning. We’ll time our information gathering and the preparation of your 990 so the form can be presented along with your audit results. We’ll keep communication open throughout the process via face-to-face meetings, phone calls, technology and other methods. And we’ll make sure you meet the extensive UBIT tax filing requirements facing your industry. Is something about your department’s finances keeping you up at night? Maybe you’re concerned about your bank reconciliations, or you’ve noticed documentation missing from some of your files. Perhaps you’re concerned about lost revenue due to gaps in your processes, inefficient operations or even fraud. Peace of Mind services provide a closer look at select areas of concern without the sweeping examination of an audit, compilation or review. We’ll monitor the areas you request, place checks and balances on your processes, and focus on your needs and the aspects most susceptible to fraud or error. As collegiate athletics CPAs, we know even the most subtle red flags that can signal an issue in your accounting. By putting our experience to work in finding them, you can have peace of mind over your concerns and develop solid financial practices in your department. Your department’s performance depends on more than the funds you raise. You also need to track the money you receive, understand the regulations affecting your organization, and attract and retain top athletes to build your programs. Tackling these responsibilities is a challenge unto itself. When you couple that with redundant processes, wasted efforts and lack of quality control, it can cost you time and money. Streamlining and properly managing your athletic department’s operations allows you to better utilize your resources so you can successfully serve your student athletes, alumni and donors. As collegiate athletics CPAs, we understand your operations and challenges. Our Operational Excellence team applies Lean Six Sigma principles to analyze your processes and develop sustainable solutions that work for you. Find and fix the inefficiencies in your procedures so you can do more with less. Have you considered the future of your collegiate athletic department? How will you build and maintain sustainable programs? Do you have a plan to attract more big donors? Who will lead your efforts in the coming years, and how will they know what to do? Setting and achieving long-term goals like these doesn’t just happen; it requires a plan that includes objectives, implementation steps and methods to track progress. You also need to identify future leaders in your organization and develop their skills and knowledge. We’ll put our expertise to work for you so you can create a solid plan. Having worked with collegiate athletics departments across the country, we can provide you with an experienced perspective on your future. And our leadership development programs give your future leaders the tools they need to someday take the reins. With James Moore, you’ll have the information you need to make sound decisions and ensure the long-term success of your department. Want to see what we can do for your athletic department? I first worked with James Moore at another university. When I took my current position with San Jose State, I saw that our athletic department used a national accounting firm—at which time I said that we need to hire James Moore instead for our NCAA agreed-upon procedures. By far, they know more about this type of engagement, NCAA reporting requirements, and the collegiate athletics industry in general. We trust the expertise they bring to the table, and their service is top notch.